Our sharpest peeler - peels fruit and vegetables wafer-thin. 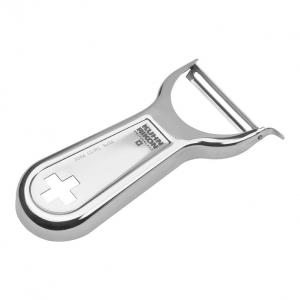 Made in Switzerland of stainless steel. Warning: Not for children  blade is very sharp. Peel away from your hands. Improper use may result in injury.